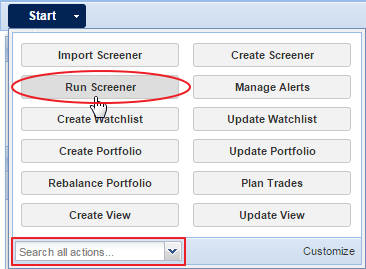 To update a screener, you can click or search for ‘Run Screener’ in the Start menu. This will will bring up a window where you can choose any of your screeners by selecting them on the left and clicking ‘Update’ under the screener description on the right. Or, you can right-click on the screener in the Navigation panel and select ‘Modify’ from the drop-down menu. Either of these two actions will bring up the screener manager, shown below. To modify the screener’s criteria, select the metric from Step 3, and edit its values in Step 2. 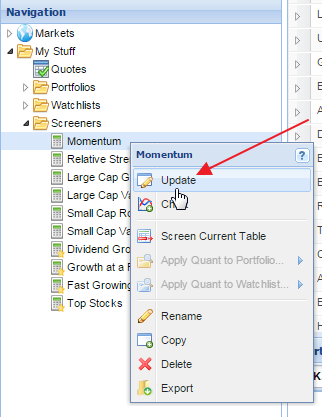 When you have finished updating your screener, click ‘Update’ in Step 4. 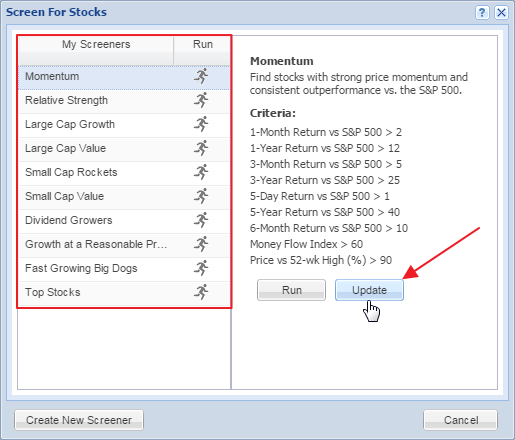 Note that you can see how many stocks pass the screener dynamically as you edit the criteria. 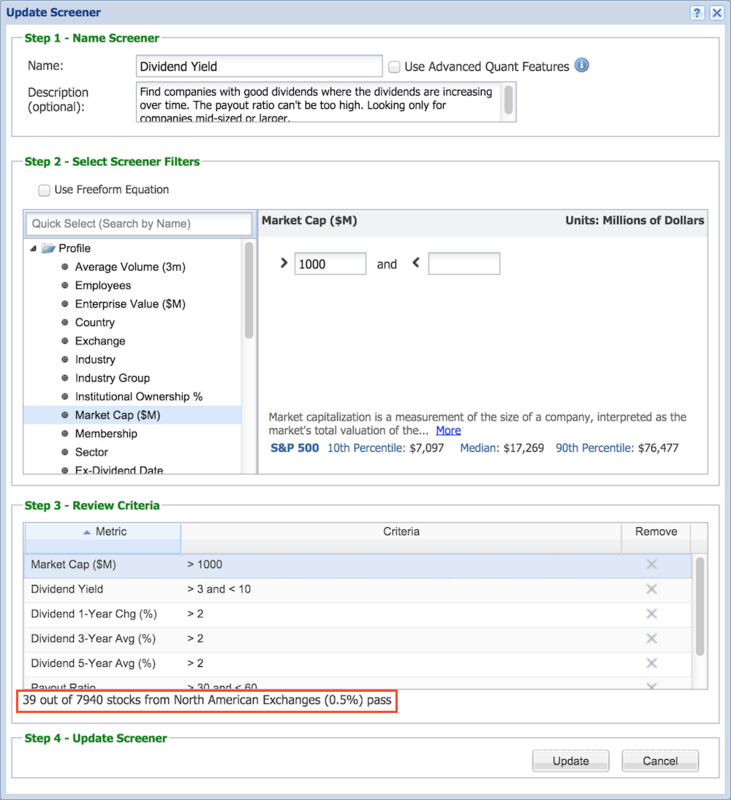 The following section explains how you can toggle different filters on or off to see how the results change.